Sustainability is in fashion right now and designers are taking note. With an ever-growing number of environmentally conscious consumers at hand, the fashion industry is responding to demands for products that are both beautiful and resource efficient. This book showcases the work of today's designers who are doing just that. 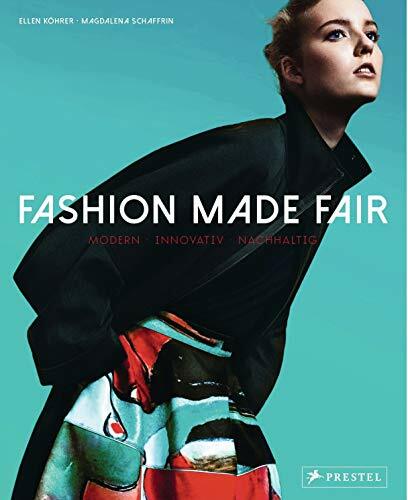 It features up-and-coming designers and established brands from all over the world, chosen for their ability to manufacture wearable, highly covetable clothing while also contributing to better working conditions, protecting the environment, and applying innovative design techniques or materials. Included in this book are companies that are rediscovering traditional handicrafts; upcycling designers who reuse textile waste; consumer-oriented approaches that make high fashion a little more cost-effective. From Vivienne Westwood to Patagonia, Umasan to Mud Jeans, this enlightening exploration features designers and brands that cover the spectrum from casual chic to haute couture, as well as interviews with fashion experts such as Bruno Pieters, Lily Cole and Michael Braungart.Filled with images of gorgeous clothing, this book looks at a revolution in the making, and points to a fashion future that benefits the people and the planet.